Make sure your parcels are sealed for safe shipping! 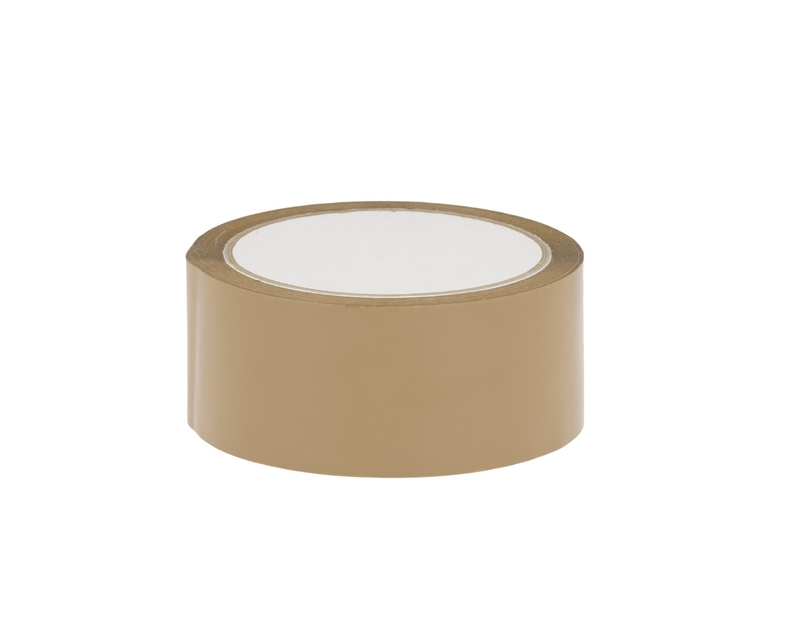 Our brown polypropylene packing tape is the most cost-effective solution to seal your cardboard boxes - it sticks instantly and is durable. If you are looking for the most cost-effective solution for sealing cardboard boxes, this is your packing tape. It is made of polypropylene with acrylic adhesive, which is easy to use and prevents unnecessary waste by not sticking to itself. Since this tape is noisy, it is not recommended for small businesses with busy areas. There is a huge range of packing tapes in the market. Generally, packing tapes are made of three different materials: polypropylene, PVC/vinyl and paper. Each material has its own characteristics, usages and advantages. Tapes also contain different types of adhesives (hot melt, acrylic, solvent or natural rubber), so it is quite complicated to choose the best solution for your packaging needs. Polypropylene is the most cost-effective option, and it achieves excellent results with its adhesive. However, tapes made from polypropylene are noisy, which can be annoying in small packing areas. For these circumstances, we recommend ordering low-noise polypropylene packing tapes, which have a special coating that reduces unrolling noise. When it comes to elasticity and resistance, PVC/vinyl tape is the best choice. This is the reason it is the most commonly used solution for heavy-duty and long-term storage. It is usually only combined with natural rubbers adhesives, which have long-term durability and higher resistance at low and high temperatures. Finally, self-adhesive paper packing tape is the most eco-friendly solution. It is usually combined with natural rubber adhesives, resulting in an environmentally friendly packing tape. When used with corrugated boxes, these tapes also contribute to the overall recyclability of the packaging. They reduce the need to separate different materials, which is the case whenever a corrugated box is used with either polypropylene or PVC/vinyl tapes.